Hourglass is a relatively new brand to me, but one that I am really interested in. There are loads of intriguing products and ones that I love already (post ambient lighting powder in diffused here). The brand seems interesting to me, and definitely a brand I want to explore more as and when budgets allow. 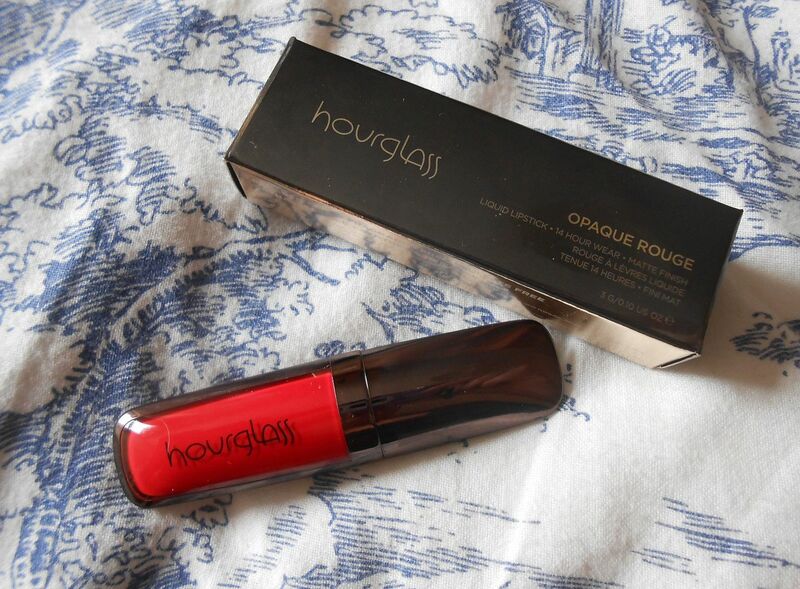 One of the Hourglass lovelies that caught my eyes were the opaque rouge lipsticks. A liquid lipstick that claimed to last for 14 hours and still look fabulous? Colour me (and my lips) interested. There are quite a few (how many) shades in the line, but I played it safe for my first colour and chose an orange-based red I knew I’d wear a lot. They’re one my favourite shades to wear as I feel they brighten up my skin, so I knew Raven would be a safe bet. The colour is nothing groundbreaking but it’s pretty and I like it. 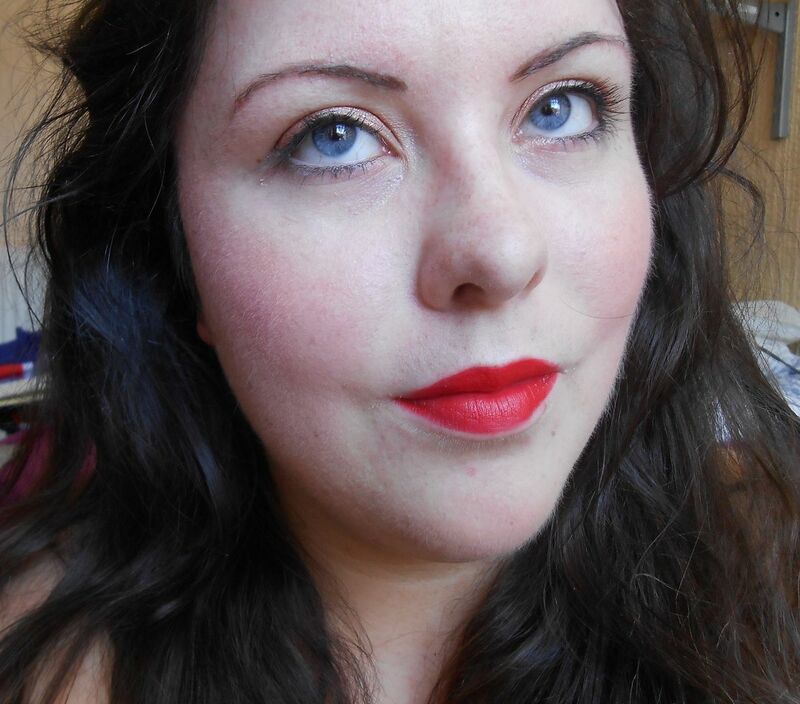 The lipsticks are all matte, which is my favourite finish at the moment as it’s so easy. As they’re matte and supposedly wear for 14 hours I was interested to see how drying they’d be, but they wear comfortably. They definitely don’t wear for 14 hours, although I’d say about 5 easily. They feel light-weight on the lips and you can forget that you’re wearing them. The applicator is also really teeny tiny (like the cute packaging), which makes it easy to carefully fill in the lips. Overall, I am impressed. I am a lipstick whore, and it takes an increasing performance to impress me. Although expensive (£23) I think it’s worth it, as the product does perform really well, and although not quite to the bold claim of 14 hours, this is a non-drying, long-lasting lip stain. Next on my list are Riveria and Muse!